The apostle Peter was summoned before the priests and Sadducees, the chief of his nation, to answer for having restored a man who was lame from his mother’s womb. Whilst accounting for this case of cure, the apostle Peter recognized a fine opportunity of showing to these people, who otherwise will not listen to him, the way of the salvation of the soul. It has been observed that among the many thousands of English words, the three most difficult words are “I was wrong,” and the two most delightful words are “check enclosed.” Be that as it may, it can be safely concluded that the most dynamic single word in the English language is the word “salvation.” Salvation is the most important thing in the world, both now and hereafter. The word “salvation” literally means to be delivered from the greatest evil and to be brought unto the highest good. Acts 4:12 declares in a plain and dogmatic words that there is only one way of salvation. How sublimely does the apostle Peter, in these words, shut up the rulers of Israel to Jesus for salvation, and in what universal and emphatic terms does he hold up his Lord as the one Hope of men! “Neither is there salvation in any other” This statement is designed to be exclusive. No exception at all! If there is salvation in none other, THEN there must be ONE that is all – sufficient. Now just hear the text: how intolerant is the Christian religion! In Christ ALONE is cleansing, pardon, forgiveness and life everlasting. There is no exception. It is Christ or eternal tragedy. Jesus is not a value that we can negotiate, nor is He a preference we can reject. He is the truth, and the truth cannot be changed. The bible says in (Pr 14:12) There is a way which seemeth right unto a man, but the end thereof are the ways of death. Also in (Pr 16:25) There is a way that seemeth right unto a man, but the end thereof are the ways of death. Jesus is the Saving name. (Acts 10:43) “To him give all the prophets witness, that through his name whosoever believeth in him shall receive remission of sins.” No other Savior but Jesus; no salvation if His is rejected; no other name to save from destruction, unless He is accepted. That is, no other person designed or appointed by God, to be the author of redemption, and procurer of salvation for a lost and miserable world, but only Christ. III. Consider The NEED beyond EXEMPTION. “Whereby we must be saved” It is imperative – we must be saved! Being saved is not a choice it is an absolute must. The bible also says in (Joh 3:16) For God so loved the world, that he gave his only begotten Son, that whosoever believeth in him should not perish, but have everlasting life. 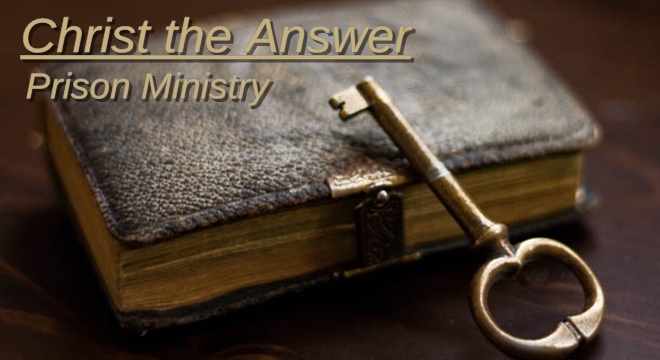 The truth of this matter is that “whosoever” can be saved! The Bible expands on this theme in a number of places. Some that are especially noteworthy are these, Rev. 22:17; John 3:16; John 6:37; John 7:37; Isa. 55:1). These verses are sufficient to prove the case that God’s plan of salvation is available to anyone who needs it. As Peter continued to preach, he promised that those who would simply “call on the name of the Lord” (Acts.2:21) would be saved! I don’t know about you, but I not only want to know who it will work for, but I also want to know how it is accomplished. It is one thing to know that I can be saved, and another altogether to understand how I can be saved. Thankfully, the Bible tells us exactly how. Notice the Substance of Salvation. We have discovered that God’s plan is for all men and that it is a simple plan that anyone can believe. Now we need to consider what this plan will do for you when it is received. Here is what being saved does for you:1. Salvation brings deliverance from the wrath of God – Rom. 5:9. (Ill. This also mean deliverance from Hell!) 2. Salvation brings forgiveness of sins – Col. 2:13; Eph. 4:32. Salvation brings absolute security – John 10:28; Heb. 7:25.4. Salvation brings the promise of Heaven – John 14:1-3; 1 Cor. 2:9.5. Salvation brings about a changed life – 2 Cor.5:17. In the words of Peter, this plan of salvation came about because a man maned Jesus Christ went to an old rugged cross and died between Heaven and earth to pay the sin debt of the entire world. He died for you on the cross and according to the Bible, He got up the third day and He still lives to save the lost this morning. Jesus Christ shed His innocent blood to pay for sin and then He arose from the dead to offer eternal life to all who will receive Him by faith. That is the Gospel and that is what will save the human soul. That and nothing else, John 14:6. The preaching of the cross may be foolishness to a pagan world, but it is the power of God to those who have experienced it – 1 Cor. 1:18.